In a universe, in a galaxy, in a planetary system, in a world, in a hemisphere, in a continent, in a country, in a local municipality, in a house, in your hands sits a book so chock full of mind-bending stories that it would be a crime against nature to not make some toast, put on some pj pants, sit down and read it this very nanosecond. 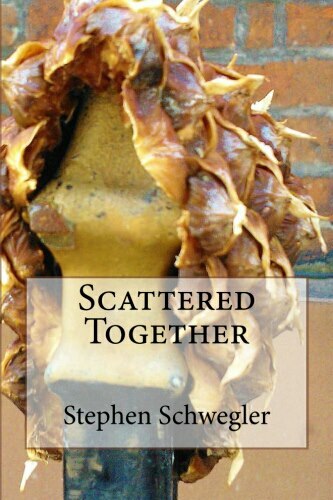 From a light-hearted dinner date to an all-out absurdist dystopian future about robot lubrication, Scattered Together has all this and so much more. Picking up where his last collection, Perhaps., left off, Stephen Schwegler's newest pieces are more outlandish, more exhilarating and even a bit more heart-warming. Buy it here in the US. Or here if you want me to get more money from your purchase. Buy it here in the UK. *These previously published stories have been re-edited for this collection. ^New stories exclusive to this collection.